The Every Student Succeeds Act (ESSA), passed in December 2015, positions school librarians as Essential Personnel and provides potential dedicated funding to effective school libraries–IF we make them understand why school librarians matter. ESSA falls short, however, of identifying what characterizes an effective school library program. This significant language allows school librarians to voice how their programs make an impact in their schools. 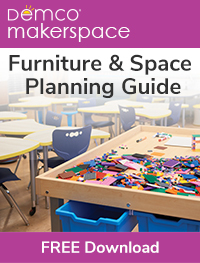 As local decision makers (Local Education Agencies or LEAs in the actual law) and educational communities develop tools and evaluations to determine a school library’s effectiveness, there will be a greater need for each of us to communicate how our school library programs enhance student learning and achievement. School systems follow the new norm in education: accountability is standardized in the evaluation process. We now have an opportunity to shape what these metrics may look like for school librarians. We also have a chance to engage in conversations with our school communities. To demonstrate an effective school library program, we will need to demonstrate how the library program meets the learning needs of our students. As school librarians, we must be able to articulate the value of the educational impact we make on our students, and do so in a manner that is meaningful to our stakeholders. We will need to find ways to measure the effectiveness of our library programs, and communicate that metric of improved student success to decision makers and to our school communities. Our administrators are more likely to support programs that demonstrate student growth as a direct result of school librarian and library impact in terms of academic success and future employment. School librarians need to initiate and continue conversations with campus and district administrators that use the data we already collect to illustrate our impact on student growth. WHAT MIGHT THESE CONVERSATIONS LOOK LIKE? Focus the discussion to educate others in the school community about the position of a school librarian and how we work to support the learning of all students in the school through a robust school library program. Highlight the importance of digital literacy and expertise of a qualified school librarian in navigating online resources. Address the critical role of information literacy, how to evaluate information, determine what information is useful to the task, and how to use online resources responsibly and respectfully as engaged digital citizens. Advertise the teaching component of our position as another way we support learning. Our knowledge of curriculum content, our collaboration as instructional partners, our integration of content and information literacy skills all impact student achievement. Looking to ESSA requires us to carefully and intentionally articulate the librarian’s instructional roles and the expertise required in an effective program. WHAT TYPE OF DATA DO STAKEHOLDERS FIND MEANINGFUL? Traditional library statistics are one way school librarians can demonstrate an effective school library program. Think of the data you already have on hand and begin to compile it in ways that can easily be shared in a graph or chart. Website analytics can be recorded to demonstrate use of online resources. Event attendance easily can be recorded and documented. Circulation numbers and scheduled use of the school library are statistics that also can be used. Track the percentage of time these interactions are initiated by teachers to provide a deeper understanding of the school library program’s position in the school culture and how others perceive the library as valuable to student learning. 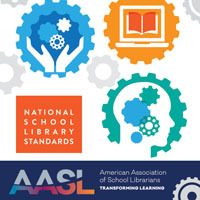 Use the AASL Standards for 21st Century Learners as a guide in creating learning objectives; make that connection with administration. Display products of library lessons with library standards clearly identified along with the content learning standards to visibly represent the integration of library objectives. Use evidence-based practices to demonstrate that impact on student learning is a successful means for gathering and documenting student growth. When beginning a lesson, assess student knowledge prior to learning, then measure growth after instruction. 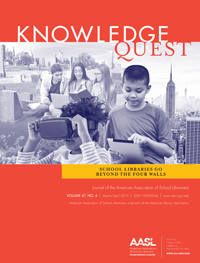 Share results of these analyses and the influence of library instruction on learning to exemplify the impact of school libraries in the instruction of students. Include informal evaluations as well. Intangible measures of the experiences students and teachers articulate about their experiences and relationships with the school library program should be noted and tracked as anecdotal evidence. How students and teachers react and interact with the library program provide insight into the value they place on the program and its importance as a learning space within the school. These examples demonstrate to others the impact the school library program has on student learning throughout the school and the curriculum. Be sure that your teaching in the library compliments student success in the classroom. The impact school libraries make on the educational landscape continues to be influential in building continued support. Now is the time all school librarians should be planning purposeful, focused conversations, designed to share how their school library program supports student academic success. Effective school library programs are those that demonstrate school librarians teach skills and strategies that make a positive impact on student achievement and create lifelong learners.